Processing: Payment received and stock has been reduced – the order is awaiting fulfillment. All product orders require processing, except those for Digital/Downloadable products. List of orders in WooCommerce → Orders. 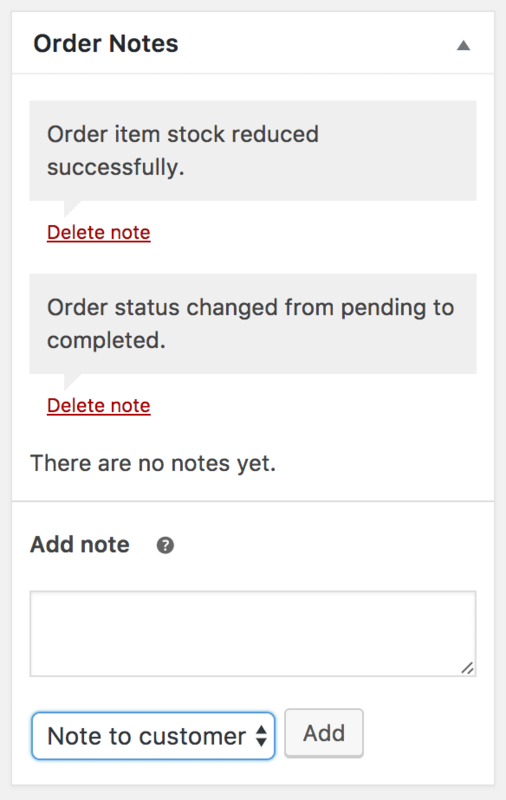 When you start taking orders, the order management page begins to fill up. 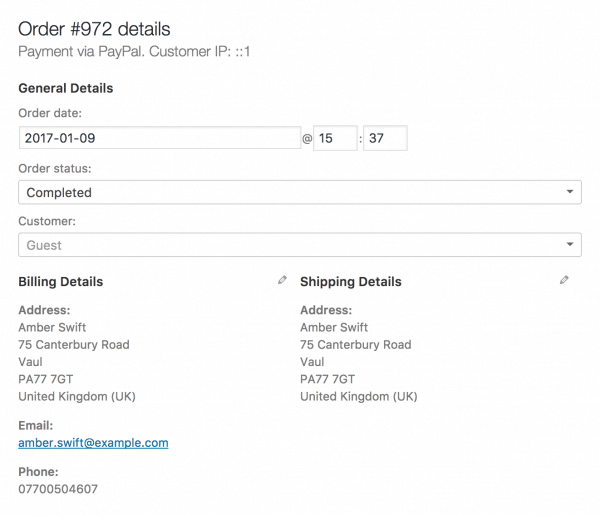 View these orders by going to WooCommerce → Orders in the left hand admin menu. Filtering options available at the top of the Orders screen. Single order details on the Edit Order page. A list of items in the current order. Tax Class: Tax class for the line. This may be adjusted if, for example, the customer is tax exempt. Add Meta: Add and remove meta to change product variable options. Sorting: Sort by Item, Cost, Quantity, and Total by clicking on the respective listed items. It’s also possible to add additional fees for items. Select Add items at the bottom of the metabox, Add fee, then click the Edit button on the row that just appeared and enter fee details. The interface for adding additional items or fees, with the total for the order show and the process for adding a fee highlighted. Cart Discount: pre-tax discounts. Can be auto-calculated. Order Discount: post-tax discounts. Need to be input manually. 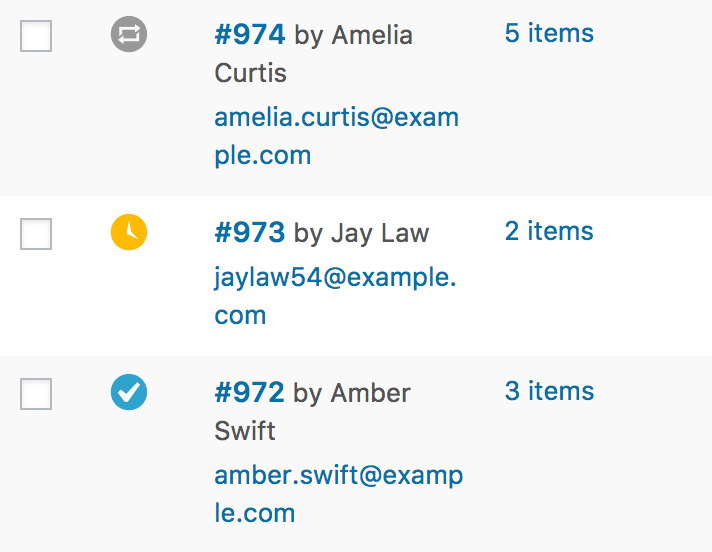 Add an order using Add New at the top of the Orders page. 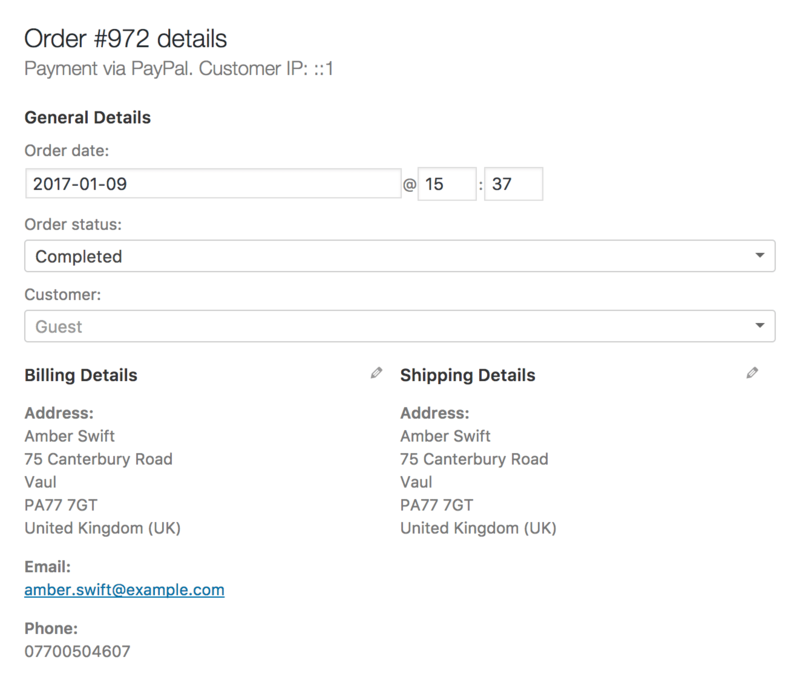 Once added you can input customer details, add line items, and calculate totals. 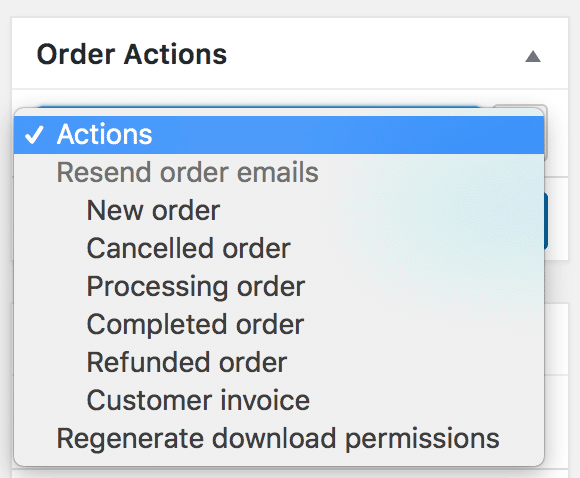 Set a relevant status for the new order, e.g., If it needs to be paid, use Pending. Save. 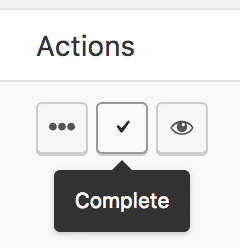 Order actions on the Edit Order page. 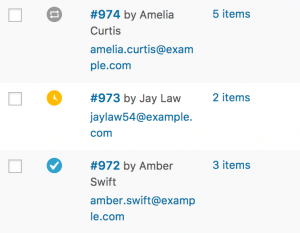 The notes panel – for internal use, or notifying customers. Found in the sidebar of the Edit Order page.